The knee jerk reaction to an increase in costs is often a price increase. Some years ago, I was sitting in the office of the VP of Pricing at a major manufacturing company. It was during a period of rising commodity costs and their input costs (metals, rare metals, energy) were climbing quickly. He was called out of our meeting by the CEO to explain to the board how he was going to protect margins by increasing prices. The advice he gave was quite different. He suggested lowering the cost of equipment and increasing the prices of software services. Their software was used with their equipment to make manufacturing more efficient. There was a post on the Professional Pricing Society’s LinkedIn group earlier this year that strongly advocated raising prices in response to higher costs. Judging by the number of ‘likes’ this seems to be a popular idea. But is it a good idea? 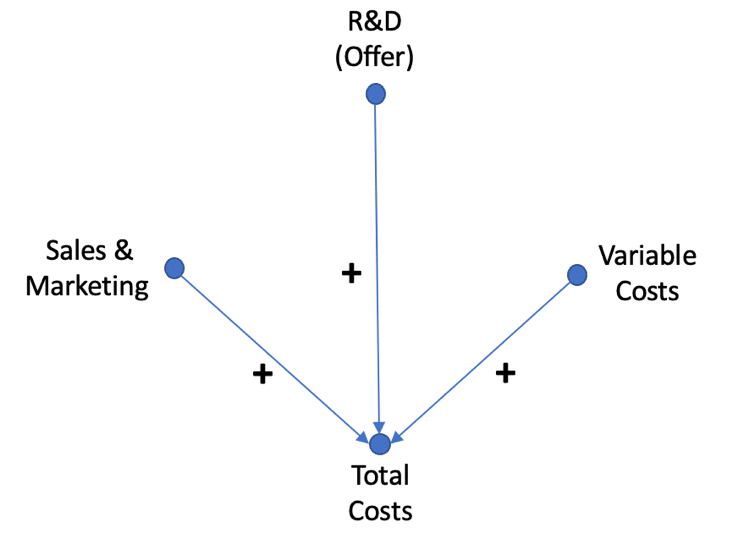 If you are reading this, chances are that you have high sunk costs (research and development), high sales and marketing costs, but that your variable costs are relatively low. This is true of most SaaS companies. I know this is changing, in some cases quickly, as data acquisition becomes more and more important to business strategy and as data becomes more valuable it is, in some cases, becoming more expensive. But in general, variable costs associated with each unit sold will be relatively low. So, this leads to our first question. Which component of your costs has gone up? (Note: This style of diagram is informed by Turing award winner Judea Pearl’s causal diagrams. Expect to see a lot more use of these. 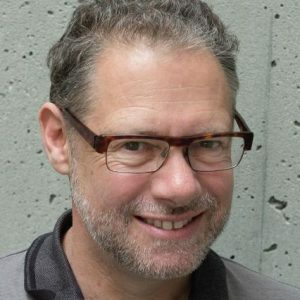 They clarify models and are easy to connect to causal and predictive models). Your response will be different depending on which cost component has changed and how this impacts the long-term viability of your business. If R&D costs have gone up (perhaps because you use a lot of data scientists in R&D and their compensation has climbed over the past few years) you will need to look at your long-term investment requirements and how attractive you are as a place to work. If sales and marketing or variable costs have gone up, you may first ask how to change your offer to better manage these costs. Followers of OpenView are aware of its philosophy of product led growth. (See the collection of Product Led Growth Resources). One of the implications of this is that you can use the product to manage other costs. Beyond this, one can use sales and marketing to manage variable costs, by designing your marketing and directing your sales towards the customers with lower cost to serve. Look closely at the equations that drive LTV and see how they are changing and how this impacts the LTV/CAC ratio. Product investment is one of the best ways to manage these long term. All of this has been internally focused. You cannot decide how to respond to price increases just by looking inside your own company. If you don’t know the answer to this question you cannot anticipate the competitive response to any price change you may make. Does the change in your costs also impact your customer’s costs (and their revenues for that matter)? If the increase in input costs also has a direct impact on your customer’s costs, and you then increase your own prices, your customer is suffering a double whammy. They are not likely to respond well to this. We started this post with the response of a manufacturing company to a price increase. This response was brilliant. It began by understanding how the cost increases impacted customers and not just their own bottom line. Once they understood that the cost increase was even more serious for most of their customers, they decided not to increase prices for their own equipment, which would have been rubbing salt in the wound. Instead, they focused on the part of their overall solution that could have a positive impact, their materials optimization software. This software was more valuable in the new market conditions, so they lowered the prices of their equipment and increased the price of their now more valuable software, to the delight of many of their customers. Predicting the impact of a price increase is a complex business. I have written about this elsewhere, in another example of how simple causal models can clear up communication and make it easier to build analytical and predictive models (see Predicting The Outcome of Price Changes). How exactly have costs changed: research and development, marketing and sales, variable costs and cost to serve? Can investment in the product or service reduce the cost of marketing and sales costs or variable costs? Can investment in marketing and sales and better customer targeting reduce variable costs and cost to serve? How will the costs (and the investments being made in response to increased costs) impact the lifetime value of a customer and customer acquisition costs? (Note that when costs go up in one part of the business one generally needs to invest more, not less, in some other part of the business). 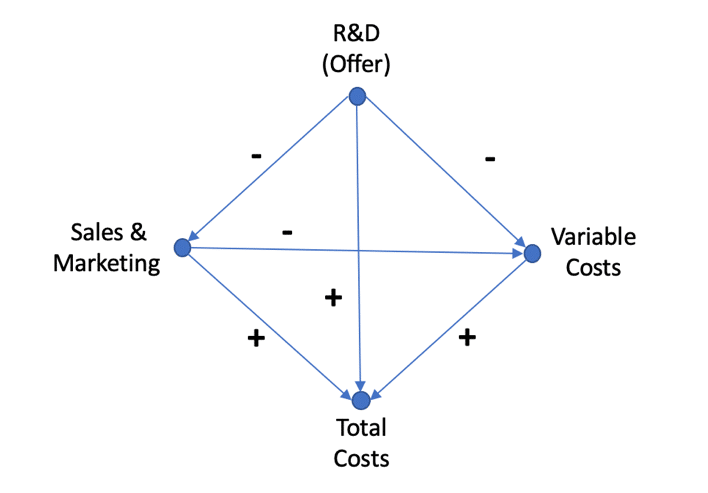 How does the cost increase impact the costs of the competitive alternatives? How will they respond to your cost increase? How will they respond to their own cost increases? 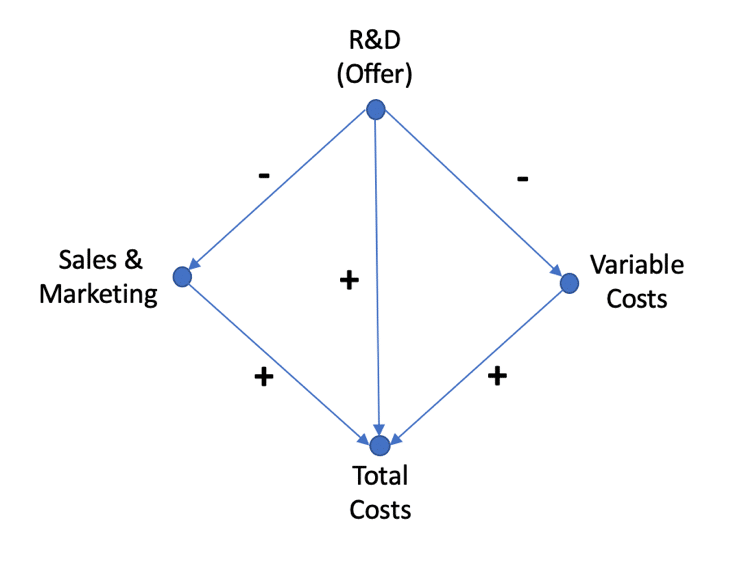 How does the cost increase impact your customer’s business model? How will your response impact your customer’s business model? How will your competitor’s response impact your customer’s business model?